Here we go. It's almost Steam Box time. Valve has just launched a teaser site for what seems to be their big hardware initiative, with a countdown clock ending on Monday at 1pm Eastern. 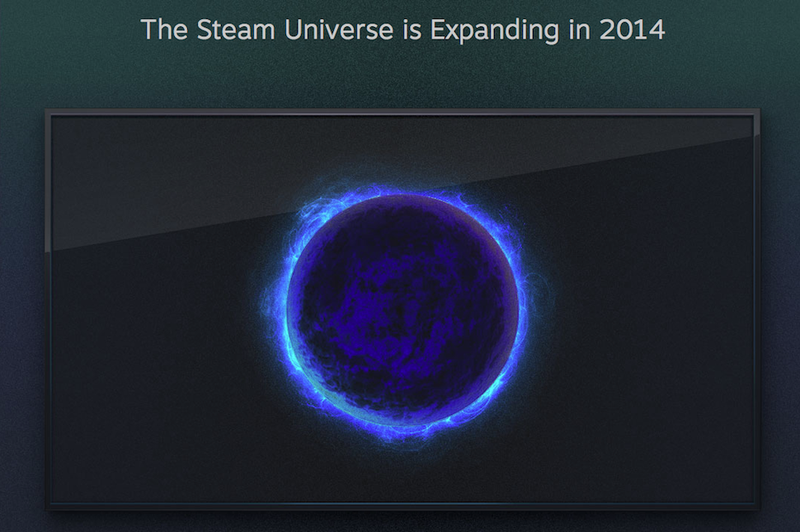 Earlier this week, Valve boss Gabe Newell teased a hardware announcement for next week. The pieces are starting to fit! As Gabe mentioned a few days ago, we will be talking next week about the steps we're taking to make Steam more accessible on televisions and in the living room. Specifically, we have three announcements to make beginning with the first one on Monday morning. Of course, we're not sure what to expect from this big announcement—could this be an official Valve-branded Steam Box? A partnership with other hardware manufacturers to make living-room-centric PCs? Something else entirely? That message about adding "you" to the design process is rather curious, too. Will this hardware be crowd-sourced in some way? Exciting times ahead, that's for sure.